This is such a lovely card Vicky! The stitching looks great! Simply stitched, simply beautiful Vicky - love it! 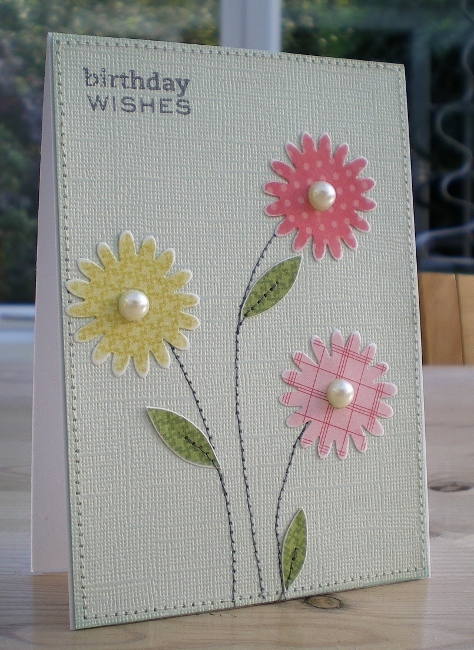 Absolutely love the stitching on this card Vicky! I just used ordinary fabric glue by 'Bond', tends to stick really well. Gorgeous, the stitching is so effective.